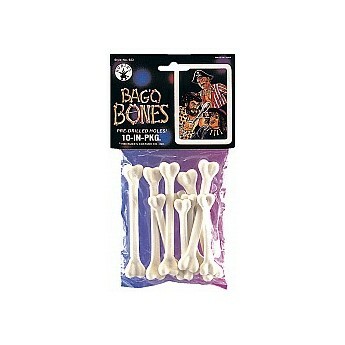 Lots of halloween ideas for a costume accessory should come to mind with our Bag Of Imitation Bones. Each one has a pre-drilled hole and are supplied in a pack of 10. Use them as earings or a character necklace with a halloween fancy dress costume. They can also be used as a costume accessory for a Cavewoman or Pirate costume.